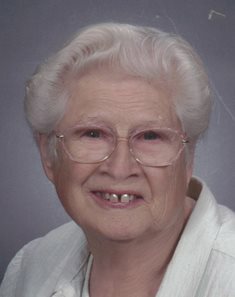 Obituary for Mrs. Dorothy L. (White) Banning | Hinchliff-Pearson-West, Inc.
Dorothy L. Banning, 93, of Galesburg, died at 7:45 a.m. Thursday, April 5, 2018 in Seminary Manor. She was born February 1, 1925, in Warren County, the daughter of Raymond and Garnet (Boulton) White. She married John F. Banning on June 6, 1943, in Galesburg. He preceded her in death June 19, 2003. She is survived by a son, Christopher (and Mindi) Banning of Rio; a daughter, Bonnie Banning of Elk Mound, Wisconsin; four grandchildren, Mike Thompson, Amy Walker-Basak, Reece Yero, and Alison Banning; seven great grandchildren; and eight great-great grandchildren. In addition to her husband and parents, she was preceded in death by a granddaughter, Sherry (Thompson) Larson and two brothers, Clifford and Donald White. She was reared and educated in Galesburg, graduating from Galesburg High School in 1943 and Galesburg School of Practical Nursing. Dorothy was a senior L.P.N. at Galesburg Cottage Hospital for many years and then worked at the former PEO Home in Knoxville until it closed in 1999. She had lived in Abingdon for 30 years and returned to Galesburg in 1978. Dorothy was an active member of Bethel Baptist Church. Visitation will be 10 to 11 a.m. Monday, April 9, 2018 at Hinchliff-Pearson-West Funeral Directors and Cremation Services Galesburg Chapel. Funeral service will follow at 11 a.m. with Pastor Scott Cramer officiating. Burial will be in Warren County Hope Cemetery. Memorial contributions may be made to the Galesburg Rescue Mission. Online condolences may be made at www.h-p-w.com.